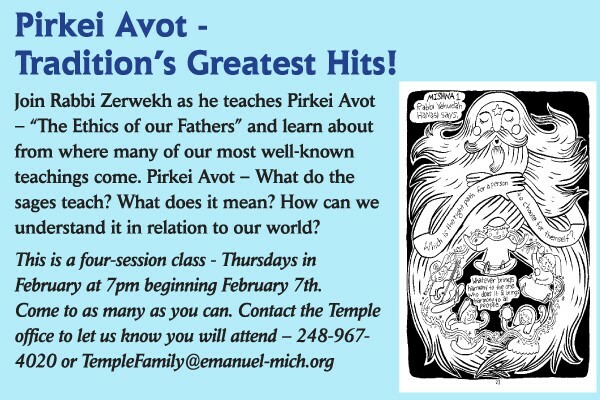 Join Rabbi Zerwekh for Tradition’s Greatest Hits! “The Ethics of our Fathers” and learn about from where many of our most well-known teachings come. Pireki Avot – What do the sages teach? What does it mean? How can we understand it in relation to our world? This is a four-session class – Thursdays in February at 7pm beginning February 7th. Come to as many as you can. 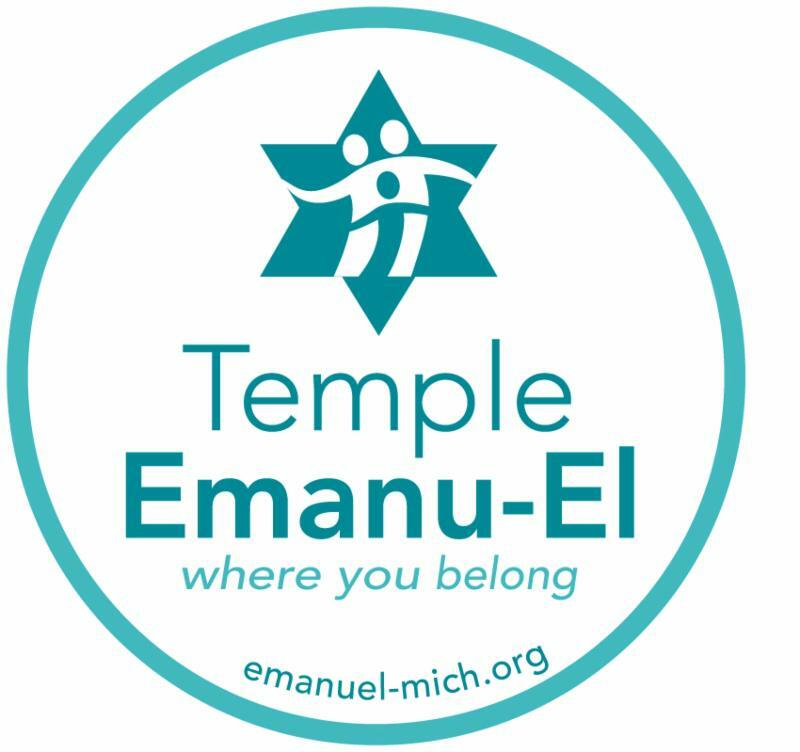 Contact the Temple office to let us know you will attend.